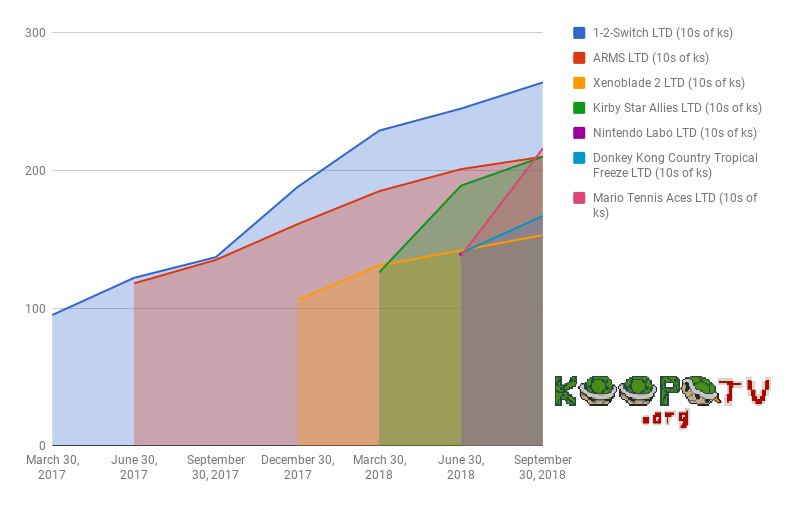 Nintendo has revealed their six months financial results for the fiscal year ending March 2019. Here is their financial results presentation. They haven't reported any updated numbers for Nintendo Labo! That means they don't want you to know how much it sold, because it's probably a low number. The only thing that Nintendo said about the Labo was in their presentation, where they expect sales to accelerate during the holidays. The reasoning for that is because that's how the trends work for the normal toy industry, and the Labo is expected to have more of those trends than the evergreen trends that games have. I'd say KoopaTV's anti-Labo awareness campaign (and outright war declaration) is working. For now. We'll keep it up. Actually, Nintendo's entire strategy, across all their product lines, hinges on another exceptional holiday season performance. That's the first question asked and answered in their accompanying Question & Answer session with investors! And the sixth question. Based on what just happened with Black Friday and Cyber Monday (excellent results for 2018), they may be able to pull it off. Really, the only notable thing out of Nintendo president Shuntaro Furukawa (remember him?) is that they're going to go back to all their successful already-released Switch games and put some more DLC. No idea how that'll manifest. More crappy DLC costumes for Super Mario Odyssey? Wave 3 of Kirby Star Allies? ...Oh! 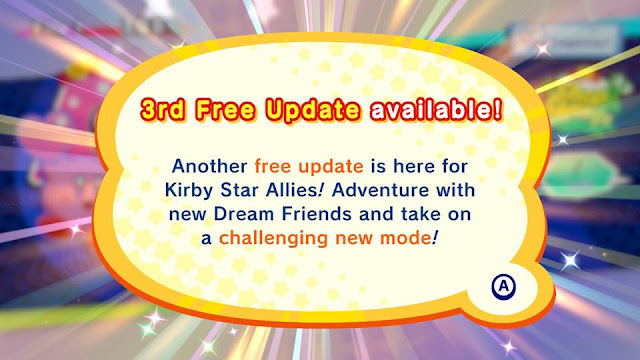 Kirby Star Allies version 4.0.0 is out already, with new Dream Friends Magolor, Taranza, and Susie? I can finally write a complete Kirby Star Allies review before 2018 since this is the final update for Kirby Star Allies, so stay tuned for that! A great present until next week's massive event, and I'm not talking about The Game Awards 2018. By the way, while Nintendo refused to release Nintendo Switch Online hard numbers, they said that over 50% of however many people did subscribe picked a Family Plan or the 12-month subscription — somehow more than what they anticipated. (I didn't even really consider that there would be that many people buying 1-month or 3-month subscriptions.) As I told you all, Nintendo definitely pays attention to those stats and metrics. Depending on the raw purchase count, Nintendo Switch Online is either failing or surpassing their expectations. One clue is that, despite Mario Tennis Aces selling over two million copies, the online for the game is basically completely dead. You'd think that, selling 2.16 million units versus Splatoon 2's 7.47 million units, that Mario Tennis Aces would have at least 25% of the activity of Splatoon 2. But, no, it's more like 1%. That might be too generous. Either a bunch of people bought Mario Tennis Aces and no one is playing it, or a bunch of people bought Mario Tennis Aces for the single-player content and they got fooled by Camelot's cutscene capabilities. (Which, quite frankly, weren't shown off in Mario Tennis Aces like we anticipated.) A small amount of people went to check out how awesome Paratroopa is, and then they disappeared again. 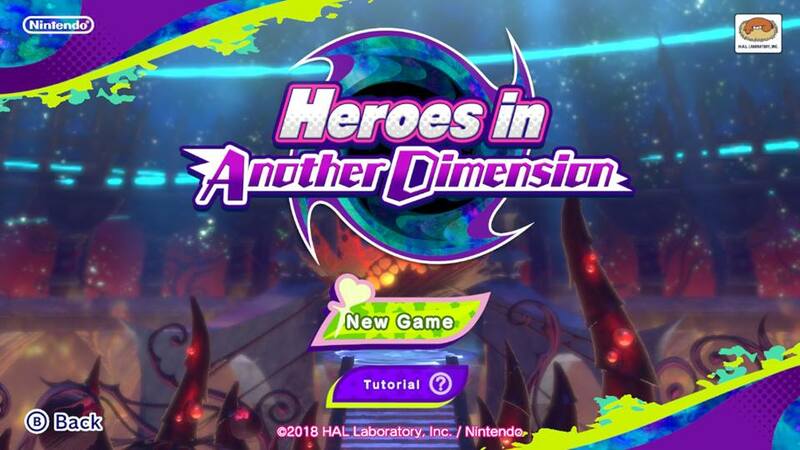 Just like the Labo from the reported sales figures. Oh, and just like Kirby Star Allies, Mario Tennis Aces just got another version update that promises to make match-making more available and fair, along with some more balance patches that make Paratroopa worse, but King Bowser even better. But unlike Kirby Star Allies, I don't feel a deep desire to play Mario Tennis Aces after it got updated. Not sure how Mario Tennis Aces outsold Kirby Star Allies, actually. Ludwig has been in a conflict between whether or not he wants Nintendo's initiatives he dislikes (smartphone games, Labo) to succeed or fail, because he invests in Nintendo stock. He has been extremely displeased with his investment and regrets it, because the stock has fallen apart. Ludwig can't help but feel like this constitutes as a conflict of interest. Click here for the June 30, 2018 version of this article! (Quarter 1 complete.) Features the chart predecessor. 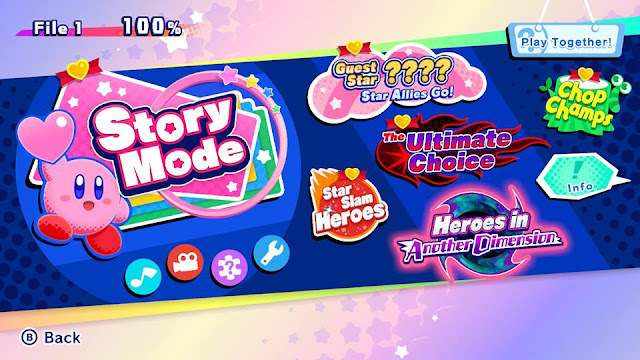 Here is the review of Kirby Star Allies, made possible by the update! December 31, 2018 version of this article here. The Labo is destined to fade into obscurity like other unsuccessful inventions like the Virtual Boy and the NES Power Glove. I doubt it will even surpass 3 million sales in its lifetime. Unless the prices are significantly reduced, Labo kits will continue to sit on store shelves not going anywhere. I'm going to wait until the end of December to give this a Truth point or not.